There are many creature features with strange and/or questionable origins but none are more elusive than the unfinished and unreleased killer bear movie, Predator: The Concert, or as it is known informally, Grizzly 2. Last month, I interviewed David Sheldon, the writer/ producer of Grizzly and Grizzly 2, and you can read that article here. But I feel like the bizarre story deserves embellishment and requires its own history so with the information provided by Mr Sheldon, this is the definitive history behind the production of Predator: The Concert. This is the true story of Grizzly 2. 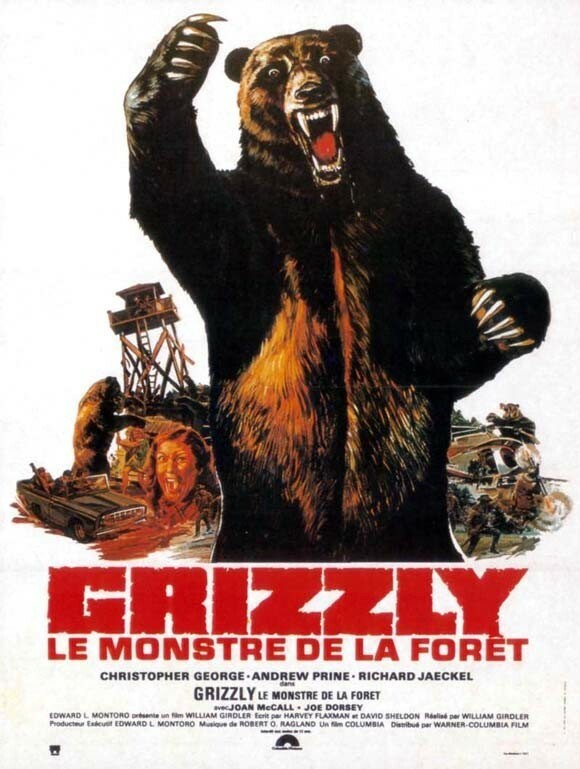 The original idea for Grizzly was born from the imagination of screenwriter Harvey Flaxman. Based on a scary experience he had on a family camping trip, Flaxman developed the screenplay with his friend David Sheldon. After only a few weeks of work, the completed script caught the eye of Sheldon’s film-making partner William Girdler who offered to get the film financed in return for directing the picture. Sheldon put aside his original desire to film the project and after Girdler succeeded in securing the film’s budget, the movie began production in the mountains of Georgia. The films follows a Park Ranger as he is forced to team up with a naturalist and a forest guide in order to combat a giant prehistoric grizzly bear that is terrorising their National Park. 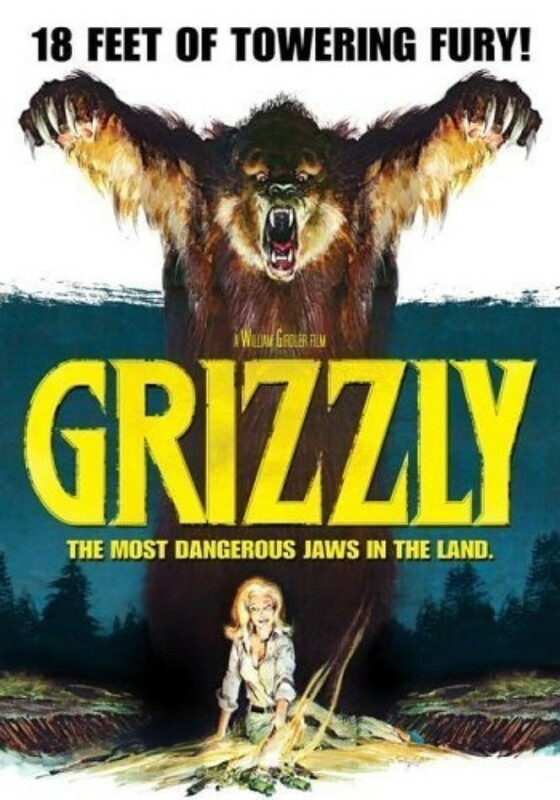 Released in 1976, the year after Jaws and thanks to similarities between the two films, Grizzly was a massive commercial success becoming the top grossing independent film of 1976. Two years later, Sheldon and Grizzly actress Joan McCall wrote a sequel to Grizzly with the intention of having Sheldon direct. Unfortunately the prior financier had trouble securing the funds so Sheldon sought a new buyer for the script as an original screenplay under the new title Predator: The Concert. 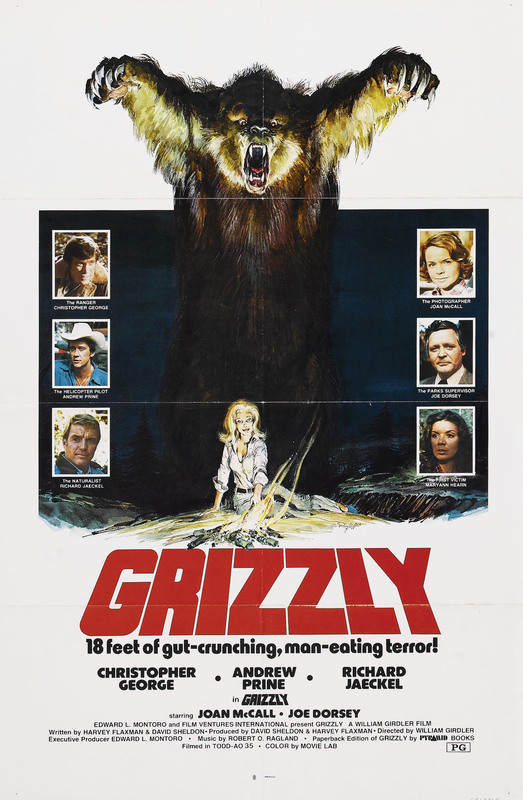 An official sequel to Grizzly has never been produced. Predator tells the story of a park ranger who rushes to stop the rampage of a giant grizzly bear before a big rock concert is scheduled to take place at his National Park. Forced into an uneasy alliance with a bear activist and an intrepid hunter, the ranger must stop the Grizzly’s rampage before it ruins the big event! Under the new title Predator, the film spent many years in financial turmoil until Sheldon finally sold the script to Joseph Proctor in 1985. With the understanding that he would direct the film, Sheldon began the casting process whilst an 18 foot animatronic bear was being constructed for the film. The assembled cast were, both at the time and in retrospect, a remarkably accomplished group of actors. Headlining the cast as the Park Supervisor Eileene Draygon (who refuses to cancel the concert despite the imminent danger) was acclaimed actress Louise Fletcher. Ten years prior, Fletcher had starred as Nurse Ratched in One Flew over the Cuckoo’s Nest for which she won the Academy Award, BAFTA Award and Golden Globe Award for Best Actress. The experienced Bear Hunter Bouchard was played by John Rhys-Davies whose long and versatile filmography includes the Lord of the Rings Trilogy and the Indiana Jones Quadrilogy. Aside from his larger budgeted films, Rhys-Davies also has a rich history of creature features including Sabretooth, 12 Days of Terror, Dragon Storm, Chupacabra Terror and Anacondas 3 & 4. Perhaps more impressively, there is a scene at the beginning of the film where three teenagers are killed by the bear whilst on their camping trip. Unknown at the time, the teenagers were played by Academy Award nominee and Jurassic Park star Laura Dern, highest paid TV actor of all time Charlie Sheen and multi-Academy Award winner and nominee George Clooney. Shortly after the amazing cast were put together, Proctor made a co-production deal with Hungarian producer Suzanne C Nagy. Unbeknownst to Sheldon and McCall, Proctor and Nagy moved the entire production including the cast and crew to Hungary. Back in LA, Proctor had frequently postponed writing up a contract for Sheldon to direct and this allowed him to hire the much cheaper Andre Szots, a Hungarian TV commercial director. Also not travelling to Hungary was the giant animatronic bear. The huge robot was fully working and operational but the builders refused to ship it over until they had been paid. With the bear dispute unresolved, filming of the non-bear scenes started in 1985. Despite not having their centrepiece animatronic, the shooting of the bear-less killer bear movie went surprisingly well. The only person unhappy with the production was Joe Proctor who felt that the script needed more a ‘rock n roll’ edge. His solution to this problem was to have the Hungarian caterer re-write the script midway through shooting. Fortunately, all of the changes were scrapped and only the original dialogue exists in the shot footage. In order to save money on gathering crowds of extras for the concert scenes, the producers hired a promoter to host a real concert hosted in a Russian Military Base. 50,000 entrants paid $15 for tickets but were not aware that attending the three-day event meant being filmed for the movie. Bands that played included Nazareth, Toto Coelo, I Eat Cannibals Part 1 and a fake band invented for the movie featuring Hellraiser 2 actress Barbie Wilde on drums. Eventually, the film-makers had nearly all of the non-bear footage shot but Proctor had still not paid the animatronic builders so they still refused to ship the bear over. Production seemingly ground to halt and that’s when Proctor disappeared and so did all of the production’s funds. Nobody (except for Proctor himself) knows where he went or where all of the money went but with no producer, no cash and no killer bear, the production of Predator was immediately shut down. 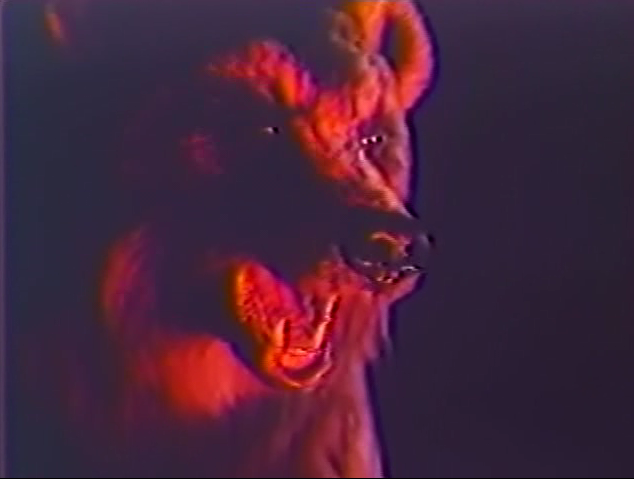 The cast and crew returned to the US, an editor put together a rough cut of the non-bear footage and the animatronic bear that never left the US was stripped and dismantled. For the majority of the cast members, leaving Hungary was the last that they ever heard of Predator: The Concert but behind the scenes, the movie was still being worked on. Proctor returned with a determination to complete the project. He spoke with numerous participants in the film, all of whom he provided with different information about why the project was shut down and promised all that they could direct the missing footage. Special Effects creator Nick Maley, Producer/ Editor Ross Massbaum and Writer/ Producer David Sheldon were all contacted and given verbal agreements but again, Proctor disappeared before any of the plans could come to fruition. Independent of Proctor, fellow producer Suzanne C Nagy was also making plans to finish the project. She also contacted Writer/ Producer David Sheldon and had him re-edit the rough cut and spoke with him about completing the film but again, nothing came of it. And that was that. For Twenty years. In 2007, the original workprint of Predator was leaked onto the internet, becoming a minor cult sensation. 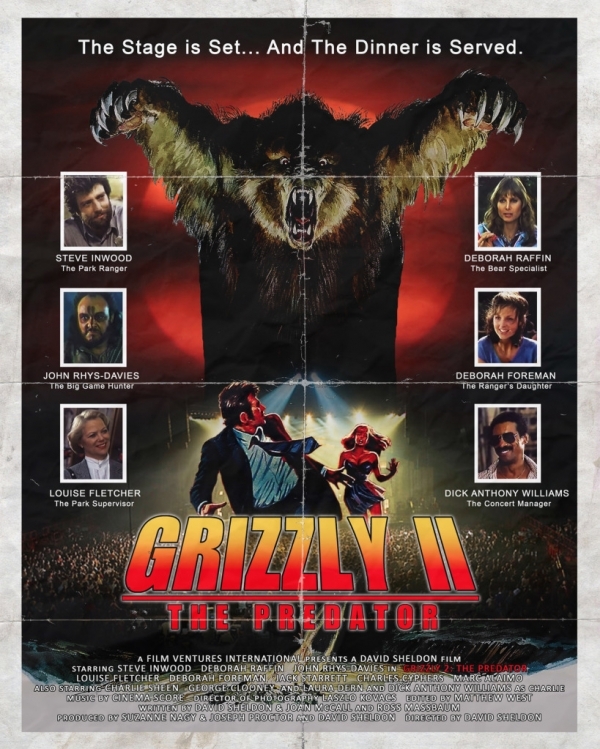 Wrongly re-titled Grizzly 2: The Concert or Grizzly 2: The Predator, the film became a source of internet investigation thanks to its acclaimed cast and mysterious origin. 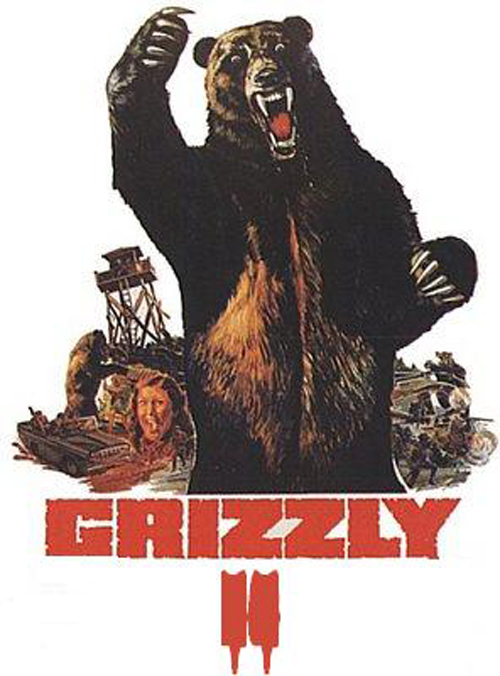 To make matters more confusing, several killer bear movies (such as Claws) had been renamed Grizzly 2 back in the late 1970’s in order to capitalise on the success of Grizzly 1. Several fans incorrectly presumed that Predator is the ‘Grizzly 2’ film that they saw on TV when they were children as imdb has reverted those films to their original titles. Further fanning the flames were some fan-made posters that re-utilised the Neal Adams artwork from the original Grizzly poster. So where does that leave Grizzly 2? Andre Szots suffered a breakdown following the film and moved back to Paris. He returned to the industry to produce French movie in the 90’s but Predator remains his only film directorial credit. He died in 2006 aged 68. 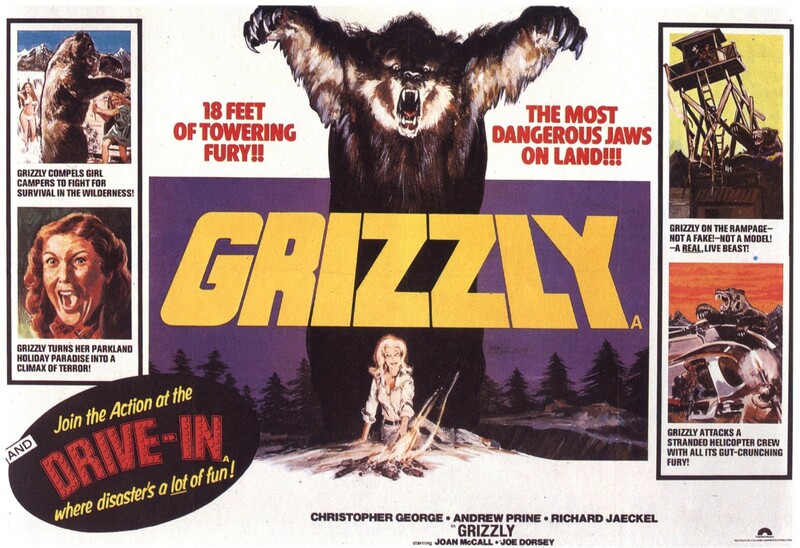 David Sheldon and Harvey Flaxman still own the sequel and remake rights to Grizzly. Sheldon plans on remaking Grizzly with the plot of a killer bear attacking a rock concert but is waiting for his schedule to clear up at some point in the near future. Sheldon also still has the re-cut version of Predator but has never shown it to anyone. Suzanne C Nagy still owns the rights to the Predator footage, including the original workprint and Sheldon’s re-cut version. She has stated that she would love to sell the rights to someone who wants to finish the film but due to the ages of the actors and the lack of bear footage, this is seemingly impossible. Joseph Proctor can be easily found in the LA Federal Prison after he was arrested in 2012. Serving five years for tax evasion, Proctor has been quoted that upon his release from prison, he will tell everyone the ‘incredible true story’ of Predator, his disappearance and the missing funds. I’m sure everyone involved in the production is eagerly awaiting that day. The source of the workprint leak was never discovered and to this day, remains a mystery. Reportedly, the original footage sits inside a bank vault in Paris and realistically, that is where Predator: The Concert will remain forever. Theoretically the film could still be finished and released, however unlikely that may be, if someone were to buy the rights to the existing footage from Suzanne Nagy. My idea would be to complete the film with fully CG or animated sequences creating a strange live-action/ animation hybrid, perhaps even funded through Kickstarter. For the time being though, that is wishful thinking and even then, there is no guarantee that the finished project will ever be as interesting as the mysterious production of Predator and the many conflicting stories surrounding it. There are plenty of articles and posts from the cast and crew members available online and the leaked workprint of Grizzly 2 is available to be viewed in full on YouTube.